I met Karen (of Teacups and Spectacles) via Instagram almost three years ago, when another friend tagged me in one of Karen's posts. 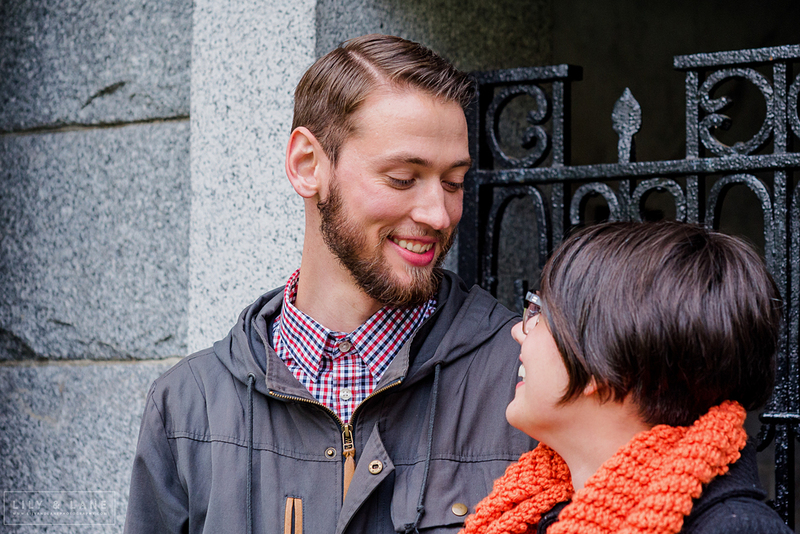 We bonded over a shared love of design, mid century modern decor, and knitting, and have been friends ever since. I was so happy when she and Tyler got engaged! 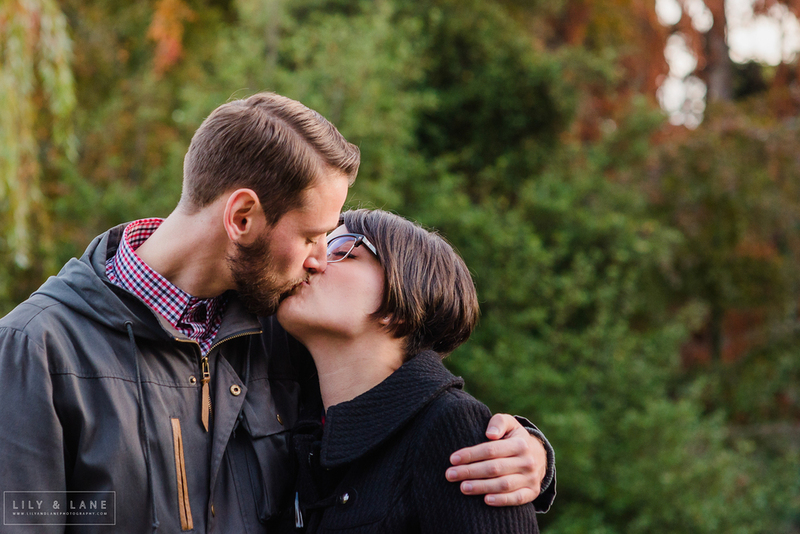 They are both history buffs and are planning an intimate wedding at Craigdarroch Castle and a reception with family a couple months after that (you can read her blog post about their plans here). 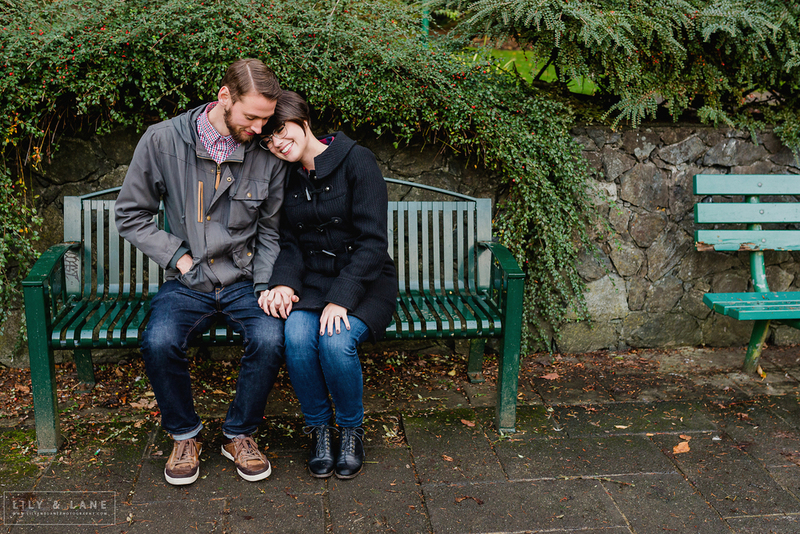 For their engagement session, we recreated their first date. 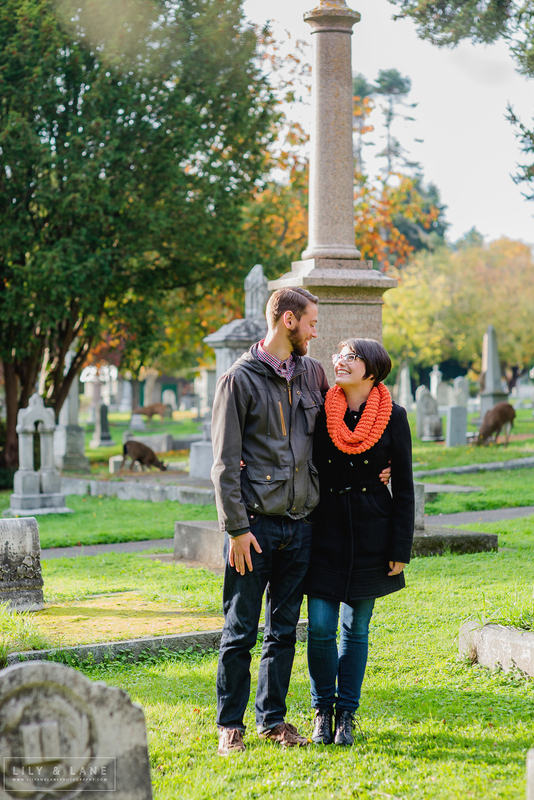 We started out with a walk through Ross Bay Cemetery, which was opened in 1873 and has a beautiful landscape filled with trees and, nowadays, deer. We then headed to Beacon Hill Park where we saw some peacocks, enjoyed the rose garden, and fed the ducks by the bench where Tyler proposed. It was a perfect afternoon! 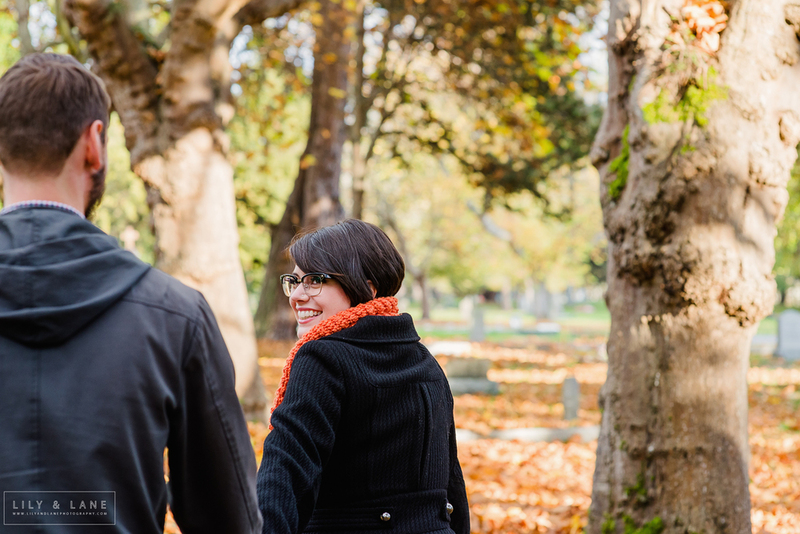 Since Karen and Tyler are history buffs, I thought I'd share this interesting tidbit of information... Ross Bay Cemetery is named after the first registered independent female landowner in BC, Isabella Ross, who was also the matriarch of the first Métis family in BC. Robert Dunsmuir, the man who built Craigdarroch Castle where Karen and Tyler are getting married, is buried in this cemetery.